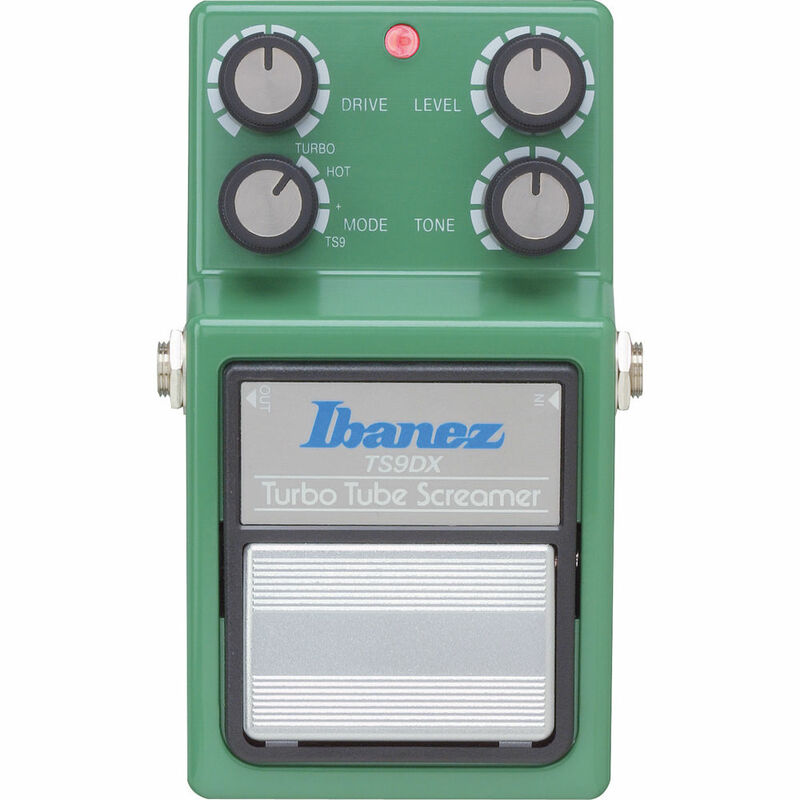 The TS9DX - Turbo Tube Screamer from Ibanez is a guitar effect overdrive pedal designed to emulate warm, natural tube overdrive. It has uses in many genres and environments, whether playing country or metal, in a bedroom studio or on stage in an arena, this pedal has something to offer. The TS9DX pedal features the same circuitry as the TS9 Tube Screamer. It has drive, tone, and level controls. It includes 3 new distortion modes for additional tone-shaping, in addition to the classic TS9 mode. 'TURBO' mode delivers a powerful, bottom-thick sound; 'HOT' mode is a crunchier tone with boosted mids; '+' mode is grittier than the original Tube Screamer; and 'TS9' is the classic TS9, exactly like the original. The pedal is powered by one 9V battery or an optional 9V AC adapter (Ibanez AC509 sold separately). Box Dimensions (LxWxH) 5.2 x 3.2 x 2.4"